CHECK IN AND BE SPOILT FOR CHOICES! Sunway Pyramid Hotel forms part of the cluster of hotels in Sunway City. The hotel underwent a major refurbishment in 2016 and now offers 564 rooms, including new family rooms and suites, purpose-built to accommodate a growing increase in family and leisure travelers to the destination. Each guestroom and suite in Sunway Pyramid Hotel includes convenient touches and technology improvements, complemented by enhanced facilities and technology upgrades which includes complimentary Wi-Fi, smart lighting, bedside USB charger outlets, 42″ LED Smart TV with satellite news, sports and movie channels, high pressure walk-in shower and other enhanced facilities and services. 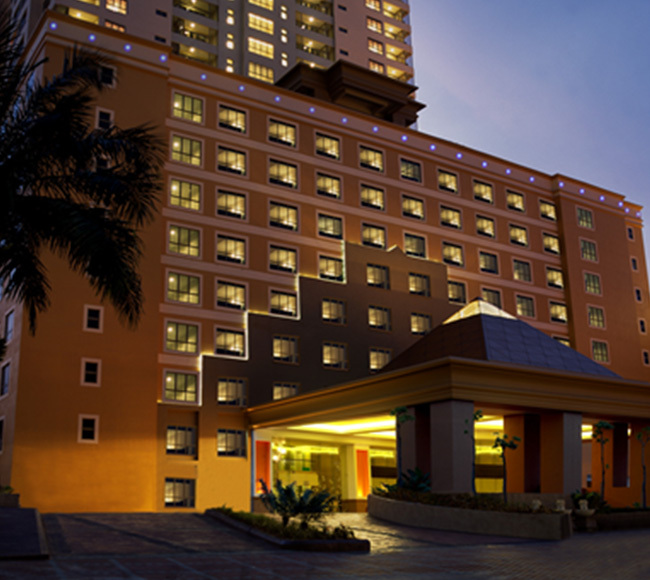 The Deluxe hotel is located next to Sunway Resort Hotel & Spa. At the lobby level of the hotel, Kaffeinate serves freshly brewed specialty beverages and light snacks for those on the go. Guest of Sunway Pyramid Hotel have access to the leisure facilities at Sunway Resort Hotel & Spa. These include the free-form landscaped swimming pool with cascading waterfall, a fitness centre and the Balinese-inspired Mandara Spa to enhance the leisure experience for travelers. 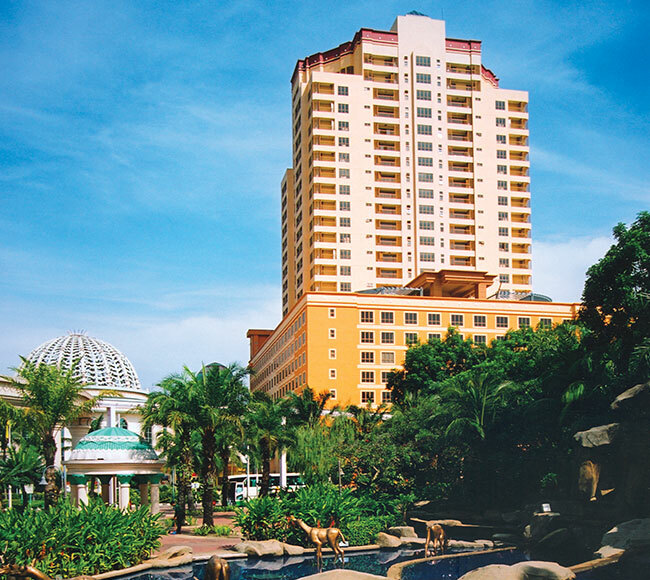 The hotel is directly linked to Sunway Pyramid Mall and within steps away from Sunway Lagoon theme park.